Today our character 乌 looks very similar to what we just learnt 鸟. And its Traditional version 烏 to that of 鸟 - 鳥. Check carefully their differences. Because of their similarity, 乌 must be something related to bird. to refresh your memory of 鸟, please go to https://xiongzou.blogspot.sg/2017/12/learn-one-chinese-character-day_18.html to review its ancient scripts. b. certain bird, whose eye is kind of invisible. 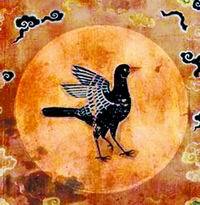 If you still remember what we learnt of character 西 (https://xiongzou.blogspot.sg/2015/12/learn-one-chinese-character-day_15.html), you know the existence of a black bird called 金乌, which Chinese ancestors believed to carry Sun around the world in sky. 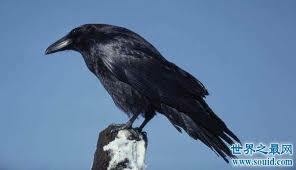 Yes 乌 is created specifically to represent such a black bird, with its black eyes not visible, as shown below. It is amazing that the Chinese ancestors so intelligent and creative in inventing all kinds of Chinese characters, isn‘t it? From the creation of character 乌, it does demonstrate a very important philosophy of Chinese that "Less is more"! Oracle script of 乌 is missing. While its Bronze script is just drawing of another type of bird. 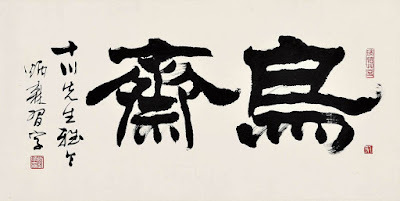 Starting from Seal scripts of 乌 (which is ) and that of 鸟 (which is ) , we can see clearly the idea of "not drawing the eyes of 乌".